Discover why paper visitor passes are essential for the security and safety of your organisation. If your organisation deals with a large influx of visitors and contractors every day you’re probably very aware of the management and security risks that go along with that. This is particularly true for large organisations with multiple points of entry. 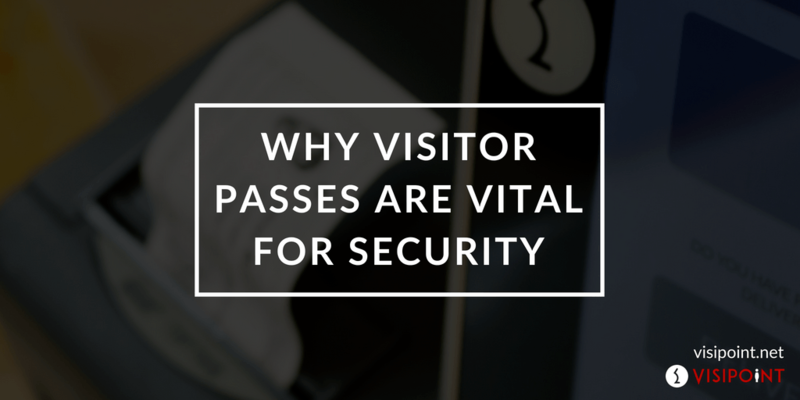 Here’s why paper visitor passes are vital for security and safety. If you have a visitor coming on to the premises, it’s unlikely that you’ll want them to be able to access every area on the premises. That’s why paper visitor passes are vital for security. From your visitor management dashboard you can grant access to specific areas on the premises using an access card, and nowhere else. This gives a visitor or contractor access to only the areas they’re supposed to be. This is particularly vital in a sectors such as education and, in particular, healthcare which deal with children and vulnerable people. Ensuring proper access control protocols are followed throughout your organisation is essential to keeping your everyone on your premises safe, and one simple way to accomplish this is by using a paper visitor pass paired with a visitor management system. A particularly useful way in which paper visitor passes improve the security of your premises is that they enable you to keep track of the exact times your visitors sign in and out of the premises. This information is automatically stored in the cloud and can be accessed, tracked and exported from your online dashboard, which is available from any browser-enabled device. The ability to check whether visitors and contractors to your premises have the appropriate credentials and checks is vital to security. For example, let’s say you run a company that produces food. Because of the nature of your business, your health and safety policies are very stringent and every visitor to the site has to pass a health and safety exam before they’re allowed to access any part of the facility that prepares food. If a visitor arrives on site and passes the company health and safety exam, this information can be saved onto the visitor profile on their paper visitor pass. You can then use the visitor pass to sign in using the premises’ access control system. This system ensures that nobody without the appropriate level of training is allowed into critical parts of the premises. If your premises has multiple points of entry, it can be very difficult for individual members of staff to feel like they have a high level of visibility and control over the organisation as a whole. Paper visitor passes – which integrate with your visitor management and tracking tools – help to improve site visibility. From your visitor management dashboard you can see everyone who has signed in using their paper visitor passes. This information is stored in the cloud and is accessible to any authorised personnel with a browser-enabled device. If you’re looking to make your premises safer and more and secure using paper visitor passes, VisiPoint is ideal. VisiPoint integrates with many of the most popular access control systems, allowing your visitors to quickly and easily sign in to the areas on the premises they have been granted access to. For a no-pressure consultation with a member of our expert team, Get in touch with VisiPoint today!